Exercise is beneficial for people of all ages as it enhances and maintains overall health, physical fitness, and wellness. Following a regular exercise routine as part of your lifestyle can offer your body tremendous benefits. However, in today’s world, many people struggle to find the appropriate opportunity during their busy schedules to participate in physical activities. It’s crucial to keep in mind though that exercise should be just as important for an individual’s day as eating, sleeping, and breathing. Incorporating exercise into our days helps augment and manage our health, fitness, and wellness, primarily because of its ability to balance the levels of insulin within the body. Insulin is a hormone produced by the pancreas which triggers the body to use sugar, or glucose, from carbohydrates in the food we eat to produce energy as well as store glucose for future use. Insulin helps control your level of blood sugar. 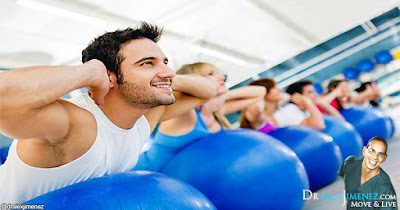 Another major benefit of participating in regular physical activity is its capacity to boost the immune system. Exercising can alter the function in antibodies and white blood cells where these begin to circulate quicker to detect illnesses rapidly. Physical exercise can also help reduce stress because it boosts the production of endorphins in the brain, neurotransmitters in charge of making you feel good. Other great benefits of exercise include weight control and improved eating habits, increasing good cholesterol, HDL, in the body and decreasing triglyceride levels, which can increase the risk of heart disease. Regular physical activity can help prolong life as it reduces the risk of heart attack and stroke and improves and promotes a good sense of well-being. Exercises specifically focused toward strengthening musculoskeletal weaknesses and imbalances can enhance and speed up the recovery process for individuals who’ve suffered an injury and have started medical treatment. Additionally, when it comes to exercising, each different variety of workout can be most beneficial for different specified areas of the body. Running on a treadmill for a certain period of time offers a majority of the above benefits but for individual’s looking to further physically condition their bodies, these steady paced exercises may not be as effective. On the other hand, high intensity interval training, or HIIT, has been shown to be one of the most effective forms of exercise. Participating in a HIIT workout can burn more fat and calories than a steady-pace run. When choosing a high intensity interval training, choose one that safely uses the largest muscle groups in the body. Viewing exercise as a necessary part of your day can help many people build a habit to exercise. Making an exercise schedule can ideally be a good way to keep it in track. The good thing about exercise is that there are a wide variety of types, some which can be done in a minimum amount of time while still providing maximum results. By following a strict exercise schedule, an individual will experience a great variety of positive benefits and effects throughout their whole body.